The Good Book Company is passionate about equipping individuals and churches to follow Jesus. If you would like to come on board and join our staff team in Purcellville VA, then please browse the vacancies below. 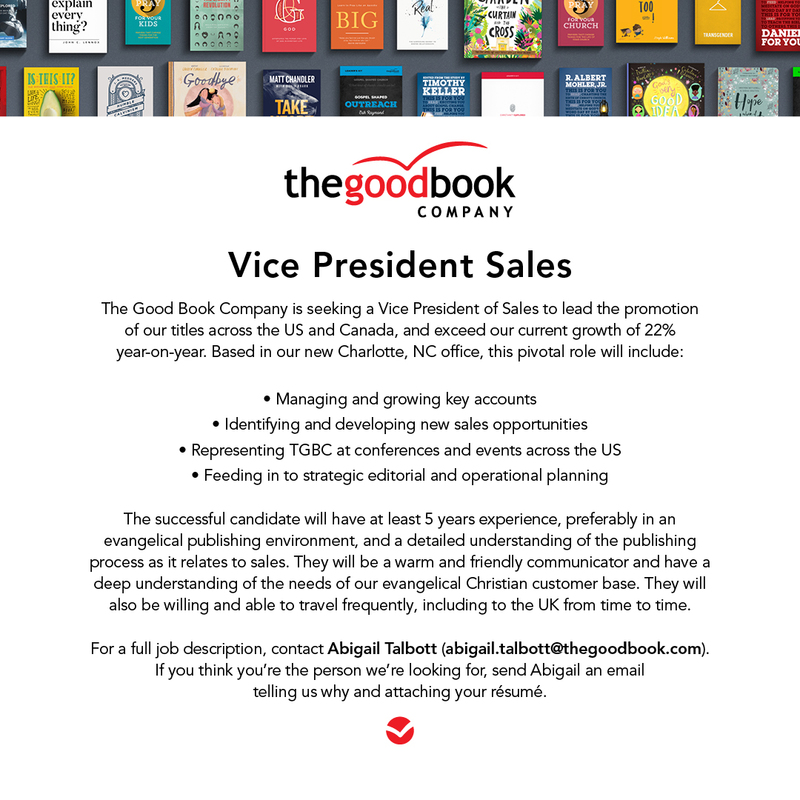 All applicants will need to be sympathetic to the ethos and values of The Good Book Company.